This route starts from the eastern part of Mount Kilimanjaro close to the Kenyan border. 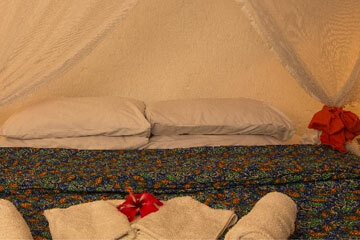 It is a camping route and easier compared with other camping routes and it boasts success rate for reaching the summit. It is also one of the less frequently used routes and thus less crowded, therefore a quieter way to ascend the mountain. The reason why the route is less climbed is because of the long drive required to reach the gate on the first day of the climb. Because the northern side of the mountain tends to be drier than other areas, the ascent on the first day is not wet and muddy like on other routes. This first day is a very gentle climb through fields, a beautiful forest, and on day two enters moorland terrain. 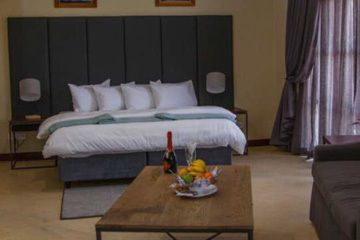 Day three takes you through the alpine desert zone, where you will sleep directly underneath the grand Mawenzi Peak, the only route to afford you such a view of Kilimanjaro's 2nd highest peak. 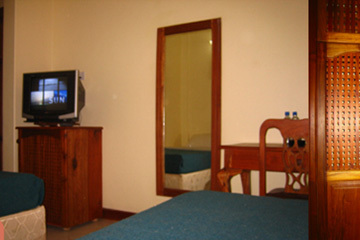 From here there is ample time set aside for acclimatization and resting in preparation for the final ascent to the summit. 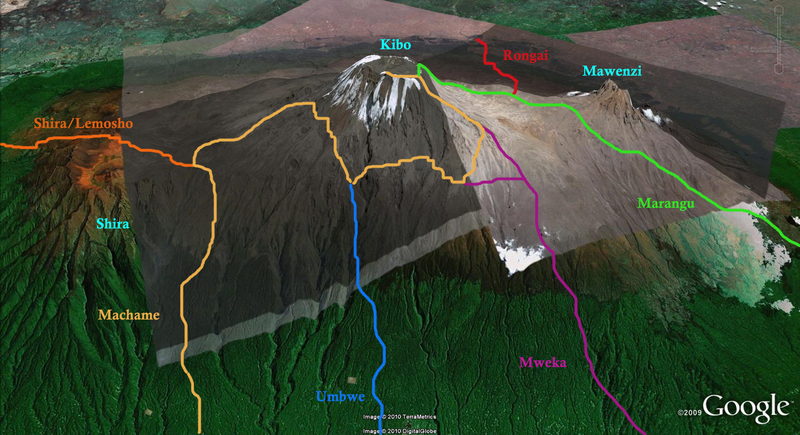 This route meets up with the Marangu Route upon descent, allowing climbers a different view of the mountain on the way down. 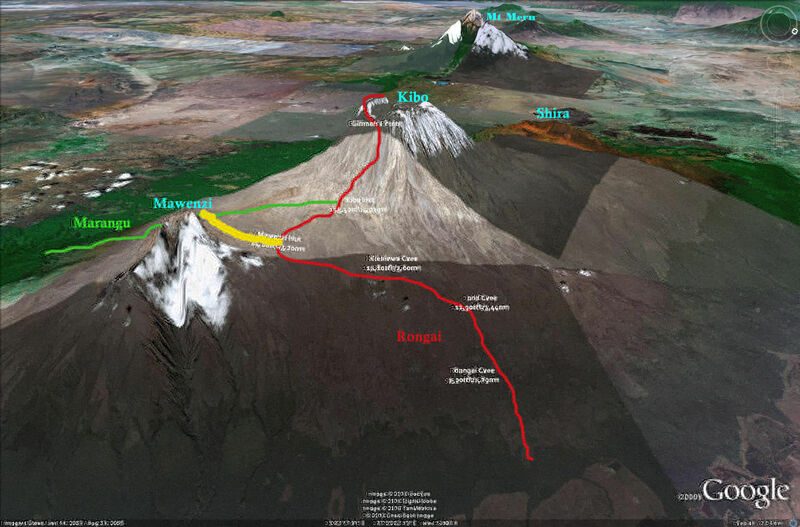 Although Rongai climbers do not experience the rain forest on day one, they are given the chance on the final day before reaching the Marangu Gate where the climb concludes. It takes a minimum of 5 days to climb through this route but extending more days is worthwhile to allow altitude acclimatization. 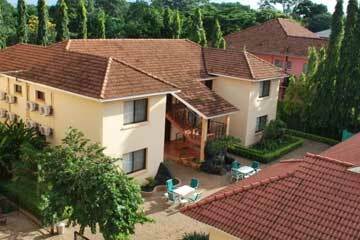 After breakfast in the hotel in Moshi town- (800m), drive to Rongai gate- (1997m) which is about 120 Km from Moshi town. It takes 2hours drive. 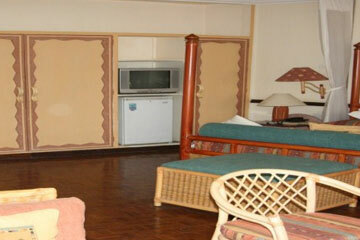 After registration on the entrance gate start the ascend with picnic lunch to the Simba Camp (alt. 2635m) walk takes 2 to 3 hrs through the less dense rain forest. Dinner and overnight at first camp (Simba Camp). Distance covered is 7km altitude gained is 638m. After breakfast start the ascend through the scattered savannah grassland up to Kikelelwa Camp (alt 3675m) The walk takes 5 to 6 hrs, lunch on the second cave where is half way point then continue to the camp. Dinner and overnight at the Kikelelwa Camp. Distance covered is 9.25km and altitude gained is 1040m. After breakfast ascends to the Mawenzi Tarn Hut Camp (alt 4302m) which is the base camp of Mawenzi Peak. You will now ending the moorland, starting the alpine desert with great/spectacular view of Kibo and Mawenzi Peaks. The walk takes 3-4 hours and then have lunch at the camp. Dinner and overnight at tarn hut camp. Distance covered is 3.75km and altitude gained is 627m. After breakfast you will have a day of acclimatization to the Middle of Mawenzi Peak then back to the camp for lunch, Dinner and overnight at the Tarn hut (4302m). After breakfast with your picnic lunch box ascends through the alpine desert to Kibo Hut (alt 4750m) for dinner and overnight. The walk takes 5 to 6 hours from Tarn hut. Distance covered is 8.9km and altitude gained is 412m. At the time around midnight starts the summit ascents after having a cup of coffee / tea with some cookies. Start the ascend to Uhuru peak 5895m asl for 6 to 7 hrs after celebrating being on the top of Africa and taking enough pictures, descend back to Kibo hut for rest and breakfast before descending Horombo- 3720m for dinner and overnight. Distance covered from Kibo Huts to Uhuru Peak is 6.25km and altitude gained is 1181m. 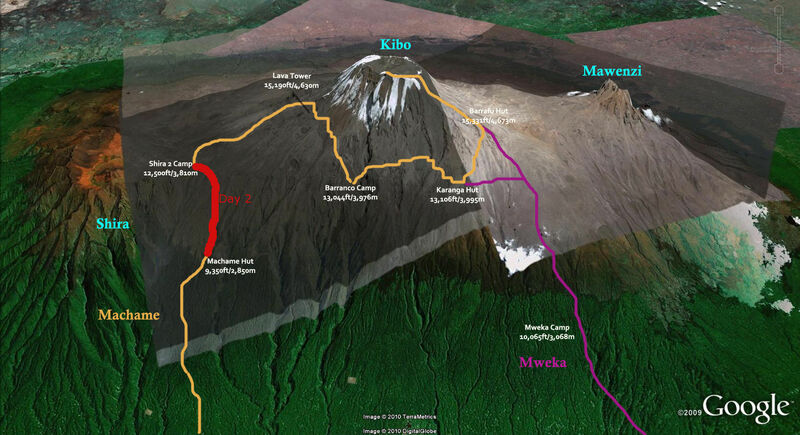 Then distance covered from Kibo Huts to Horombo Huts is 9.26km and altitude lost is 983m. After breakfast descend to Mandara Hut (alt. 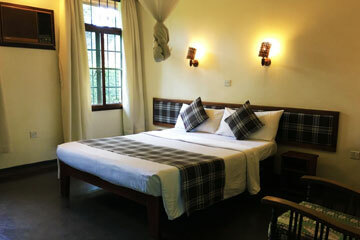 2700m) for lunch, then proceed through the heavy rain forest to Marangu Gate where you will catch a waiting car for the drive back to the Hotel in Moshi for hot shower and rest. Distance covered 12.5km and altitude lost is 1020m.